There are many anti aging treatments such as face lifts, chemical peels, botox, laser resurfacing and others, but they are very expensive, are risky and are a short term result. If you want to really remove wrinkles and have a healthier skin you need to use natural remedies and creams to help you improve your overall facial look. Some of the basic things you need to know to avoid wrinkles is to: use sun protection, have a healthy diet, avoid stress, have proper sleep, eat fruits and vegetables, take vitamins and drink plenty of water. However using some home remedies for skin care can also be very helpful in improving the health of your skin naturally. 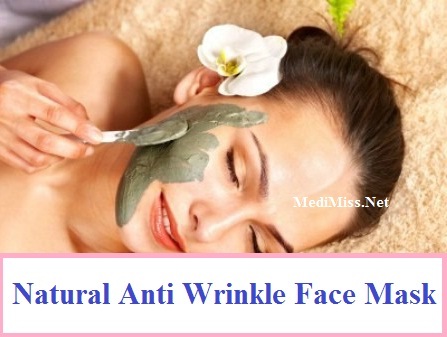 For example you can use a natural anti wrinkle face mask. You then mix honey and juice of carrots, apply it and leave it on your face for 20 minutes. Then remove it with cotton wool with warm water with a pinch of baking soda added. clay face masks, for oily skin, it detoxifies, open up clogged pores and remove blackheads. Firming Masks, massaging in the contours of your face will firm up your skin. Radiance masks, use vitamins and add glow to lifeless skin. You have to choose what is better for your skin, based on your skin type. A homemade mask can be very useful and easy to do with simple natural ingredients that you can find at home. However, there masks can only help so much, if you need to reduce wrinkles and face lines dramatically you need to improve collagen, elastin production and have strong anti oxidants on your skin. Natural anti aging creams with organic ingredients can do wonders to restore your fresh facial look and return reduce wrinkles.